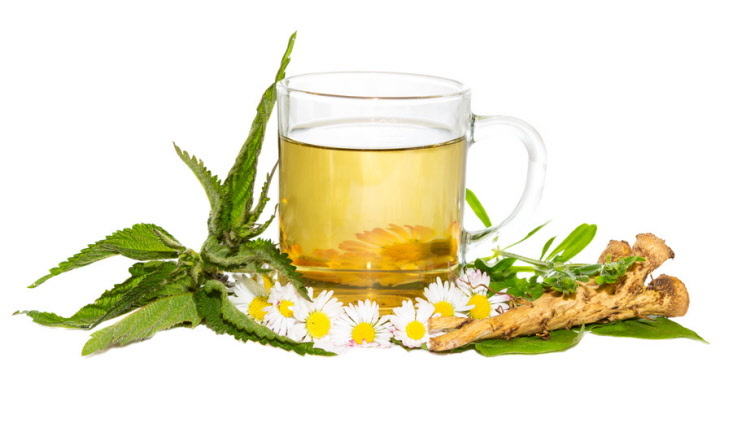 Purifying Herbal Tea with detoxifying properties for the body. With a high nettle leaf content, which contains large amounts of vitamin A, various mineral salts, plant hormones and enzymes that positively affect the proliferation of red blood cells in the blood. Also Apple pomace, which is a rich source of carbohydrate, pectin, crude fibre , and minerals and as such is a good source of nutrients. This herbal tea also contains Yerba Mate, Blackberry leafs, and Flaxseeds etc. Composition: nettle leaves, apple pomace, Yerba Mate, Blackberry leaf, flaxseed, acid: citric acid, raspberry flavouring, sennae leaf, natural lime flavouring.